Our Boston Marathon Finisher Is Going Back For Round Two! Brian's daughter Jordana is at it again! 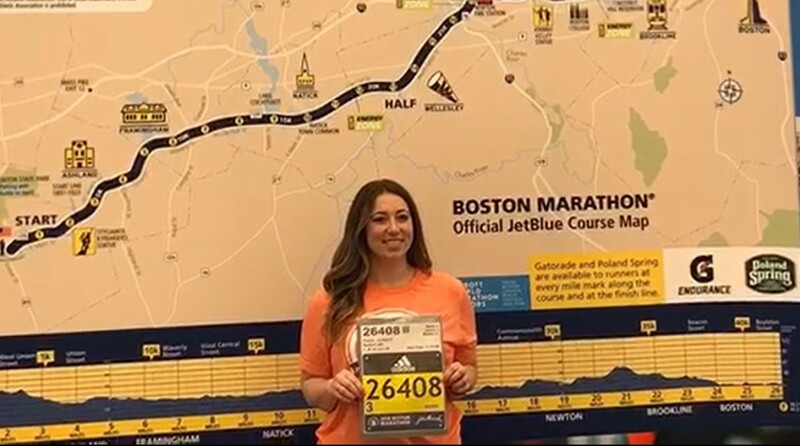 She is registered to run the 2019 Boston Marathon, and has already started her fundraising efforts, which benefit the American Liver Foundation. If you would like to donate towards Jordana's fundraising goal, you can do so HERE. Check out the video from last year's marathon below! Brian Connor, a retired member of the Middlesex Sheriff's Department and current NAGE/IBPO representative, is proud to share that his daughter successfully completed the 2018 Boston Marathon! Jordana Connor ran the marathon to raise awareness and funds for the American Liver Foundation. The family has shared this touching video with us, please take a moment to appreciate Jordana's incredible accomplishment! Check out all the Boston Marathon Finishers HERE.